Welcome back everyone. The Easter Term 2012 starts on Tuesday 17 April, and the first listing is Fairclough Homes Ltd v Summers, due to be heard from 18 – 19 April 2012 by Lords Hope, Kerr, Clarke, Dyson and Reed. This appeal from the Court of Appeal (Civ) concerns a jurisdiction issue raised during the respondent’s compensation claim after he was injured at work on a building site. A split trial was held – the trial to determine liability was held in the respondent’s favour, whereas in the trial of quantum the appellant obtained video evidence that the respondent’s injuries were not as severe as he had claimed. It is for the Supreme Court to determine whether a court, either pursuant to an inherent jurisdiction to deal with abuse of its processes, or under the Civil Procedure Rules, has the power to strike out an entire claim for damages because the claim, or the manner of its presentation, is substantially fraudulent. Case details are available here. There are no judgments due to be handed down by the Supreme Court or the Judicial Committee this week. 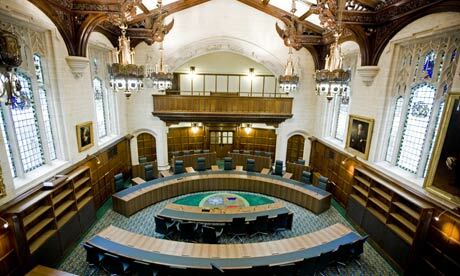 In the Privy Council this week are two appeals from the Cook Islands – The descendants of Utanga and Arerangi Tumu v The descendants of Iopu Tuma and June Margaret Baudinet v Ellen Tavioni and anor. There are no case details available for either appeal. R v Waya, heard 27 – 30 March 2012. 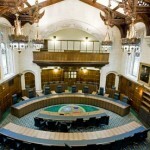 Leave a reply on "In the Supreme Court w/c 16th April 2012"